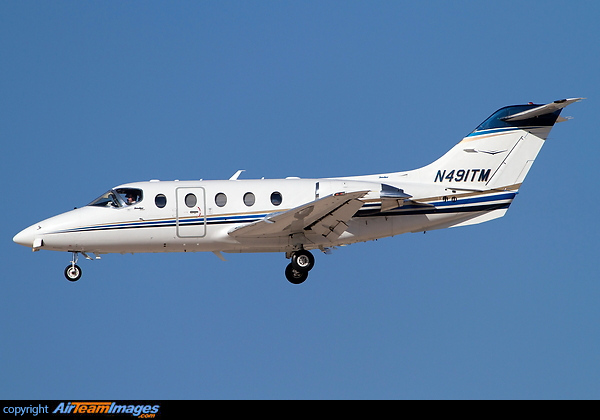 The Beechcraft 400 is a twin engined short to medium range light business jet. It was derived from the Mitsubishi Mu300 Diamond, rights to which were bought by Beechcraft in the 1980s. The Hawker 400XP incorporates aerodynamic, mechanical and interior improvements learned from the Hawker 800XP programme. The cabin is bigger than others in its class, and the cockpit has large EFIS displays. 2 x Pratt & Whitney Canada JT15D (2500 - 2965 lbf) turbofan engines. Uses the JT15D-5 with a thrust of 2965lb.